When it comes to hiring, the rules of engagement are always changing. If your sourcing strategy is limited, you’re likely to find your talent pool is not meeting demand. Passive candidates – individuals currently employed in a position – are a rich source for new talent. Recent studies find that 7 in 10 employees are actually looking at other job opportunities, or are at least open to new career opportunities. So, they’re really not all that passive – and you shouldn’t be either. 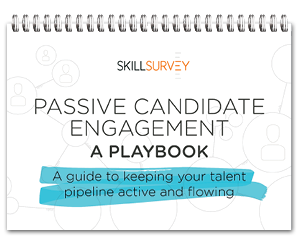 Successfully engage and hire passive candidates. Download our playbook.